Sometimes the moves Apple makes aren’t as illuminating as the story it tells about why it’s making them. Every Apple media event is an opportunity for Apple to tell a story. The stories it chooses to tell give us some indication about what the company thinks of itself, where it’s going, and how it wants to be judged. 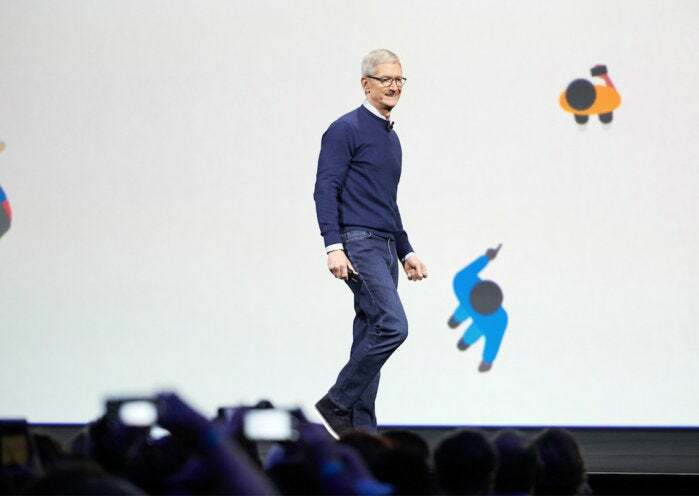 When Apple CEO Tim Cook has waved goodbye and walked off stage, it’s useful to consider the impression he’s left you with and the big ideas Apple has tried to communicate over the previous couple of hours. After more than 20 years of going to Apple developer conferences, you’d think that I’d have this down cold, but the fact is that Apple is always changing, and every time you think you’ve got its playbook figured out, it changes again. Regardless, here are some big ideas and trends that I think are the most likely ones for Apple to use on stage next Monday at the WWDC 2018 keynote. Last year I was really hoping for a major emphasis on Siri, but we didn’t get it, despite the introduction of the HomePod. In the past year, Apple hasn’t visibly stepped up its virtual-assistant game, even with the presence of that Siri-controlled speaker in its product line. In fact, one could argue that the existence of the HomePod has further exposed how far Apple seems to have fallen behind Amazon and Google. It’s past time for a focus on Siri, and WWDC is always a good place for such a focus to emerge. One way to make Siri better is to empower software developers to expand its capabilities, either via extensions to SiriKit (which let apps interface with Siri) or via cloud services. Of course, Apple needs to do more than just throw Siri to developers and hope that they’ll do something with it—the core service itself needs to be better. If you’re Apple, you can’t tell a story about how your virtual assistant is intertwined with every product you release unless the product is good enough to back up that story. For Siri to take center stage, it must be a star worthy of that billing. Is Siri about to get a lot better, or are we in for another year where Apple’s mediocre voice assistant is the elephant in the room? Last year’s core story at WWDC was the rise of augmented reality and virtual reality within Apple. On the AR front, Apple is building out its augmented-reality tools for developers and letting the iPhone be a place where Apple, developers, and users all figure out together what AR is good for and what it’s not—well in advance of any future release of augmented-reality hardware. It’s hard to believe that Apple will step back from its heavy interest in AR. Tim Cook talks about it at every opportunity. Apple’s iPhone hardware is a great testbed, and I’d imagine that it will unveil even more features to encourage developers to explore AR. Artificial intelligence and machine learning are the hottest buzzwords in the tech industry, and it’s a point of pride within Apple to show that they’re out there on the forefront. Last year Apple showed off some tools for developers to use machine learning, and of course the iPhone features dedicated hardware for the purpose. Expect this story to continue to be extended across Apple’s product line. One of the major themes at Google I/O this year was the idea of Google creating features that help humans regulate the time they spend with their devices and better integrate it into a fuller, richer life. Thanks to my podcast co-host Myke Hurley, I’m coming around to the idea that Apple will offer its own spin on this concept. Consider iOS Notification Center. If Apple decides to redesign it (and a redesign is badly needed), one way to announce those changes would be to integrate it into a larger story about digital well-being, especially if the net result is fewer interruptions, and less time wasted seeing things you don’t care about. This is where storytelling can make a somewhat boring set of operating-system interface tweaks into something larger. In this case, that Apple’s making changes to make your life better. Then there’s Do Not Disturb. 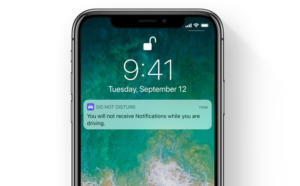 Last year, Apple added the Do Not Disturb While Driving feature. That’s a great start, but there’s more to be done. The iPhone is currently kind of a mess when it comes to what notifications and alerts make noise or break through, and when. Once again, changes could be part of a larger story about not missing important messages—and not being disrupted when your device knows you’re doing something more important. With its focus on health and wellness features, the Apple Watch fits into this larger story as well. Last year Apple added breathing reminders to watchOS in an attempt to get us all to chill just a little bit. What’s this year’s equivalent? (Will Yoga become a first-class Workout citizen?) And I wonder if this is the year Apple will finally tackle sleep tracking with the Apple Watch. The Apple Watch Series 3 has enough battery to last through the night; in fact, if you charge the watch after you wake up while showering and getting ready for work, it can make it through the night without a problem. And once you’re wearing your watch at night, Apple can start making recommendations about your bedtime and how much sleep you need to get—and even providing badges and other incentives to get a good night’s sleep. I can’t guarantee any of these stories will be at the center of Apple’s WWDC presentation, but you can rest assured that there will be some kind of narrative that holds Apple’s presentation together. When you’re watching the keynote, don’t let yourself get so caught up in the products that you don’t see the forest for the trees. Sometimes the moves Apple makes aren’t as illuminating as the story it tells about why it’s making them.